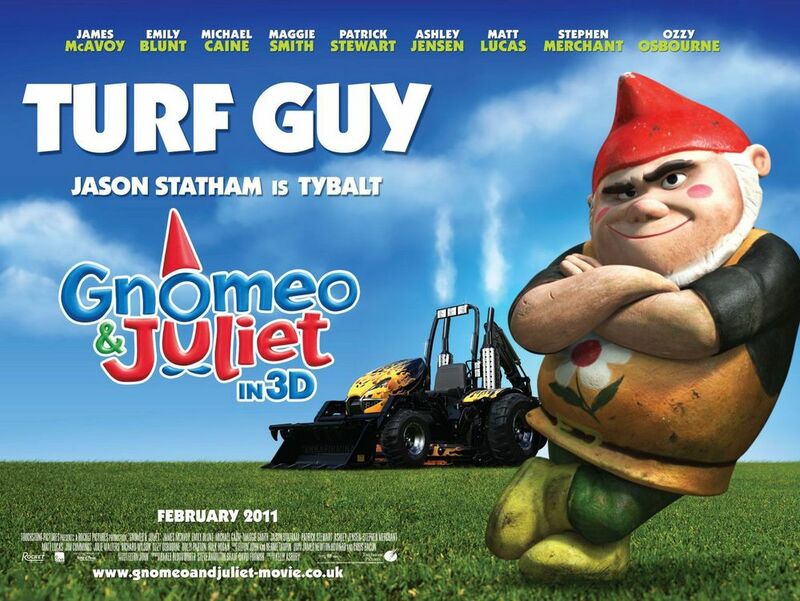 Here are three new character posters for Gnomeo & Juliet! The new animated film is directed by Kelly Asbury and boasts a voice cast which includes James McAvoy, Emily Blunt, Matt Lucas, Maggie Smith, Michael Caine, Stephen Merchant, Ashley Jensen, Jason Statham and Ozzy Osbourne. Check out the new posters below courtesy of IMPA and let us know what you think! This February, garden rivalry is taken to new heights as we introduce a world you have never gnome before! 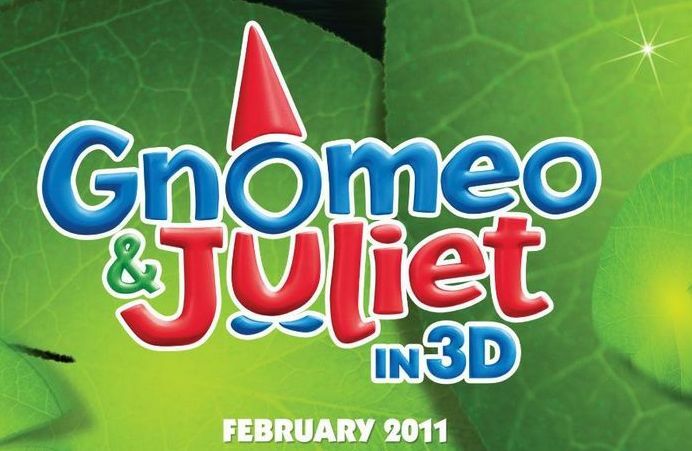 The hats are off as the infamous star-crossed lovers and their colourful companions come to life in the hilarious, action-packed, family 3D adventure, GNOMEO AND JULIET. 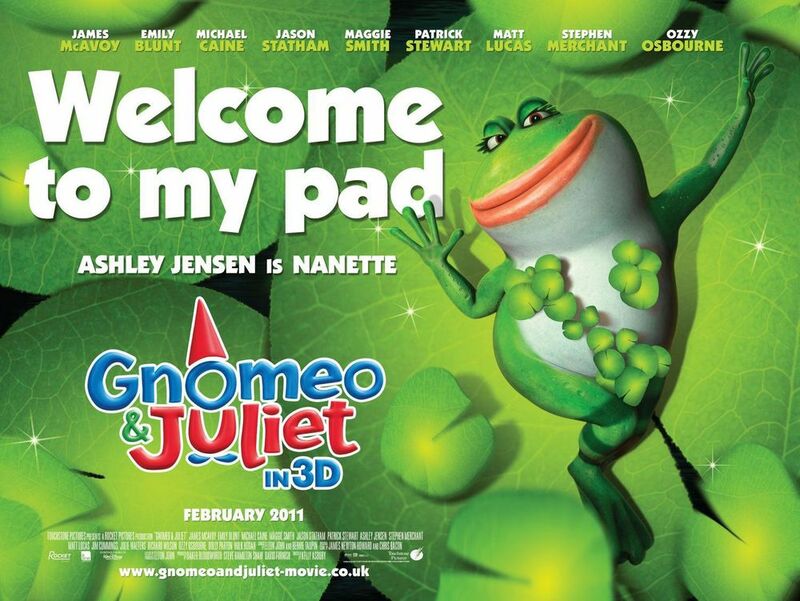 Set in the gardens of fair Verona Drive, we witness the blossoming romance of two young gnomes, Gnomeo (James McAvoy) and Juliet (Emily Blunt), amidst a turf war between the reds and the blues. Between the high-speed lawnmower chases and stealth missions, hearts (and hats) are broken, loyalties are tested and garden boundaries drawn, but can true gnomance conquer all? When your best friends are an over-excitable frog, a lovelorn flamingo, a loyal mushroom, a team of Bond-esque bunnies and a dopey fawn, there’s a shedload of fun and adventure around every plant pot! The miniature monuments are voiced by massive household names including James McAvoy, Emily Blunt, Matt Lucas, Maggie Smith, Michael Caine, Stephen Merchant, Ashley Jensen, Jason Statham and Ozzy Osbourne to gnome a few! 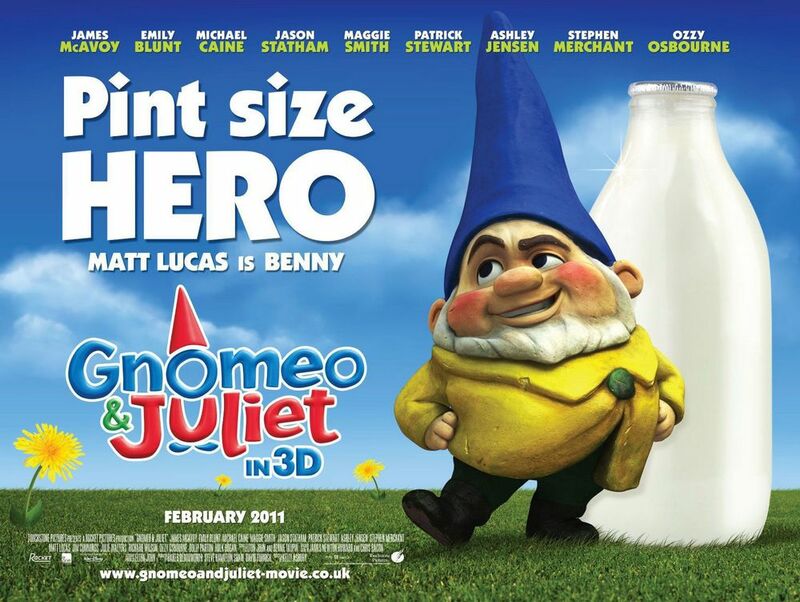 Featuring classic and original songs by Elton John and directed by Kelly Asbury (Shrek 2) GNOMEO AND JULIET is a great love story……with a very small difference.